Lose That Girl: RATE IT! Big Brother is Back! Yeah, baby! Looks like season 11 is actually going to be entertaining! I know that I'm not the only one who had to forgo the series the past two summers. The casting was - dire ... life's too precious to spend hour upon hour watching aggravating twats with low I.Q.s attempting to win a million dollars. But this season.... I think the producers corralled a good mix of people to make this summer's offering actually watchable *and* addictive. The first ep on Thursday night was the old BB that I've come to know and shamelessly love. Looping the housemates into high school cliques (jocks, brains, oddities and popular) is pure genius. Everyone can relate! 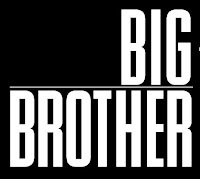 I, for one, am back on the US Big Brother bandwagon and playing to type, I'm cheering on the oddities first, and the brains second. It is very labour intensive, you are right Myrna. It's been fun and worth it so far -- although I must admit that I record it and then FF through some parts. YEAH BABY is right!!! I dont know why I love this show so... have since Season 1. It's a love/hate thing. This year's cast is jaw-droppingly pathetic - and it's right up my alley! Wouldn't be summer without BB; and the 3X per week is the icing on the cake.